Robotic process automation and machine learning are two words that are becoming more and more familiar in finance. Many still are unsure what the differences are between these two so let´s begin by clearly defining them. Robotic process automation as the word suggests is a way to automate certain tasks, mostly repetitive ones so that you can save time. It does not involve so much analysis or thinking, and it automatically loads information in roughly the same position. It has little to no ability to detect erroneous information. Machine learning is the brain that analyzes data, looks at data position, analyzes whether it should be there, and how it should handle data. One of the great things about machine learning is that it learns from experience even without programming. As a user, you can select models, load data, and then the model itself adjusts so that outcomes are improved. The finance world over the last few years has been more welcoming of robotic process automation and machine learning in its processes. A few of the reasons why many CFOs and finance managers have chosen to embrace them is because it can help them reduce their operational costs, increase their revenue by freeing capacity and improving productivity as well as improved compliance. 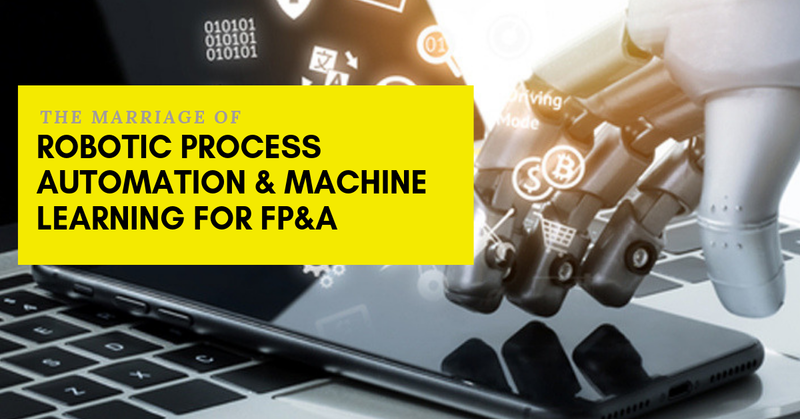 FP&A software that can successfully marry robotic process automation and machine learning in its solution like Performance Canvas Financials can bring about significant advantages to an organization. Read Also: Is your Business ready for a Trump Presidency? For example, it can provide an organization with a good way to track their KPIs so that they avoid the pitfall of unrealistic estimates or budgets; they can shorten their FP&A cycle by 50-90%, or they can finally have an avenue for improved creativity leading to more tangible benefits for the organization. It is, however, important to remember that technology alone or its understanding is not enough although it is a great way to start. To drive improvement within finance, clear goals, skilled staff, good leadership, and the right technology have to be present. If you want to try out RPA and ML in action for your finance department, try out Performance Canvas Financials´30-day free trial. Evaluate for yourself if this solution can deliver on its promises. Visit www.performancecanvas.com or email info@dspanel.com for more information.